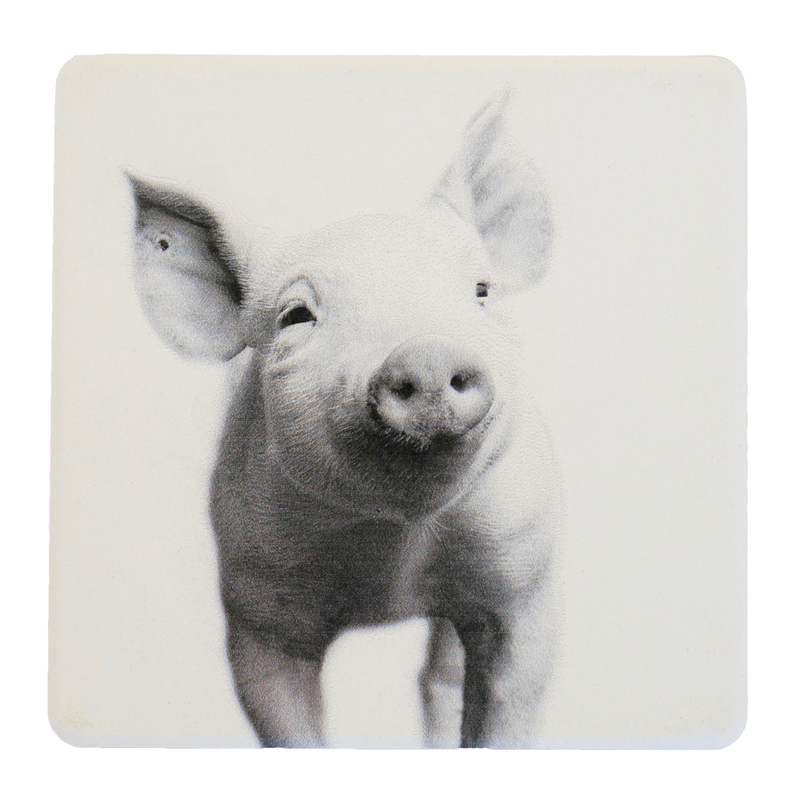 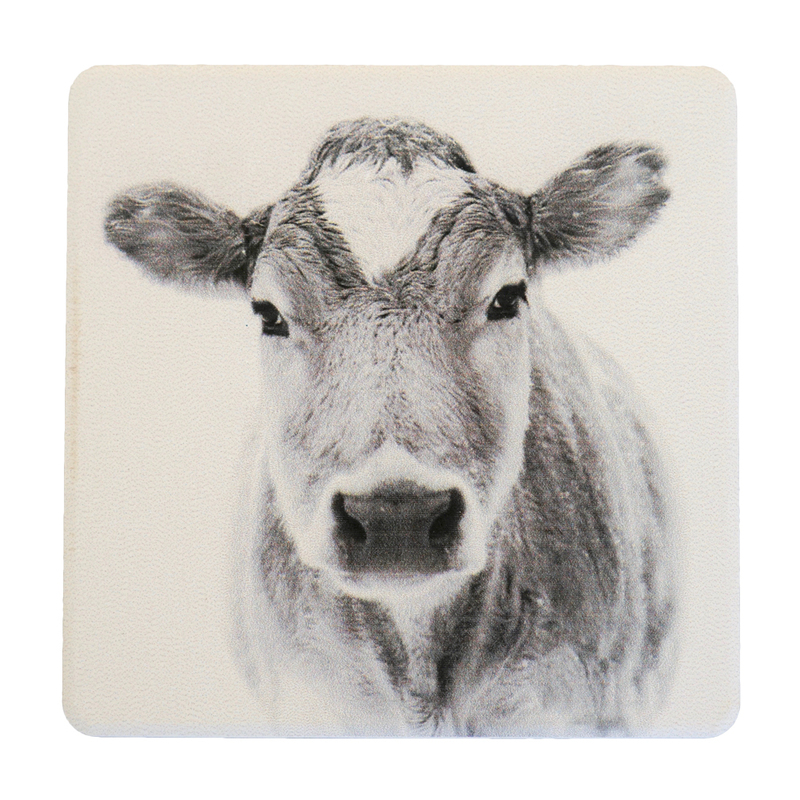 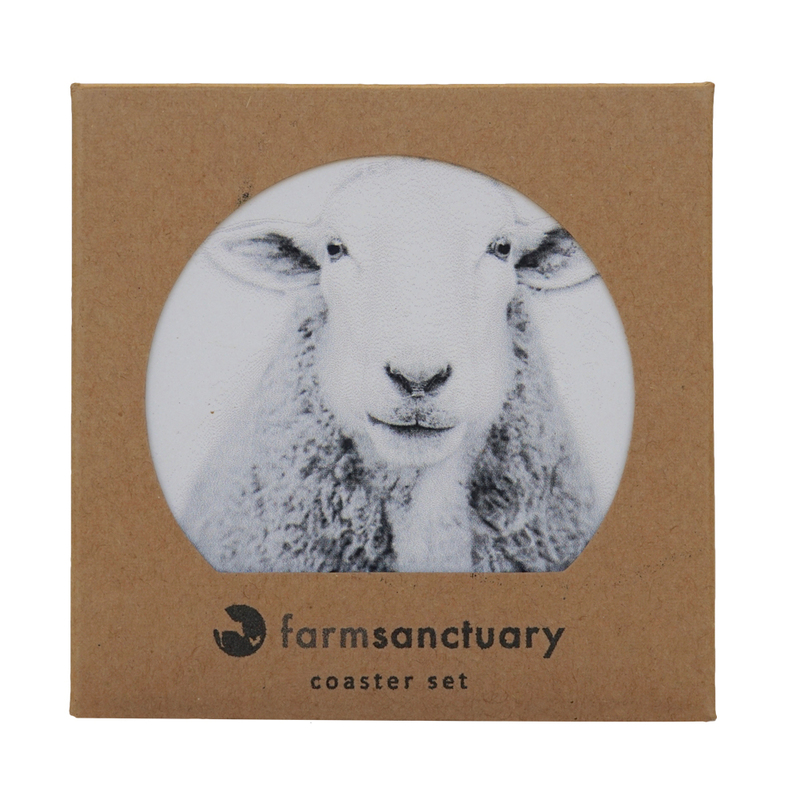 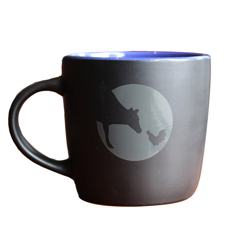 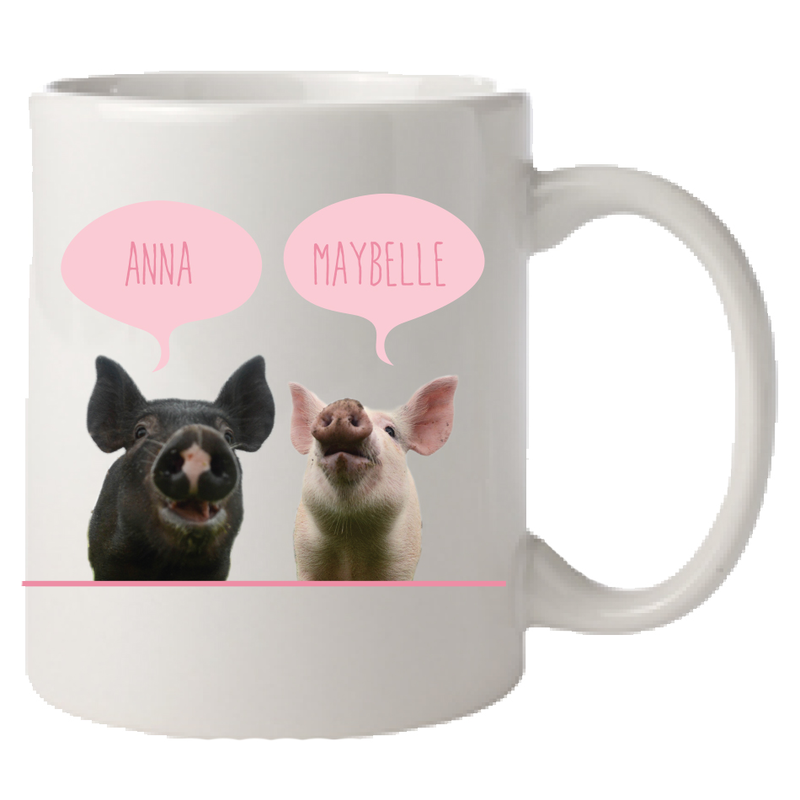 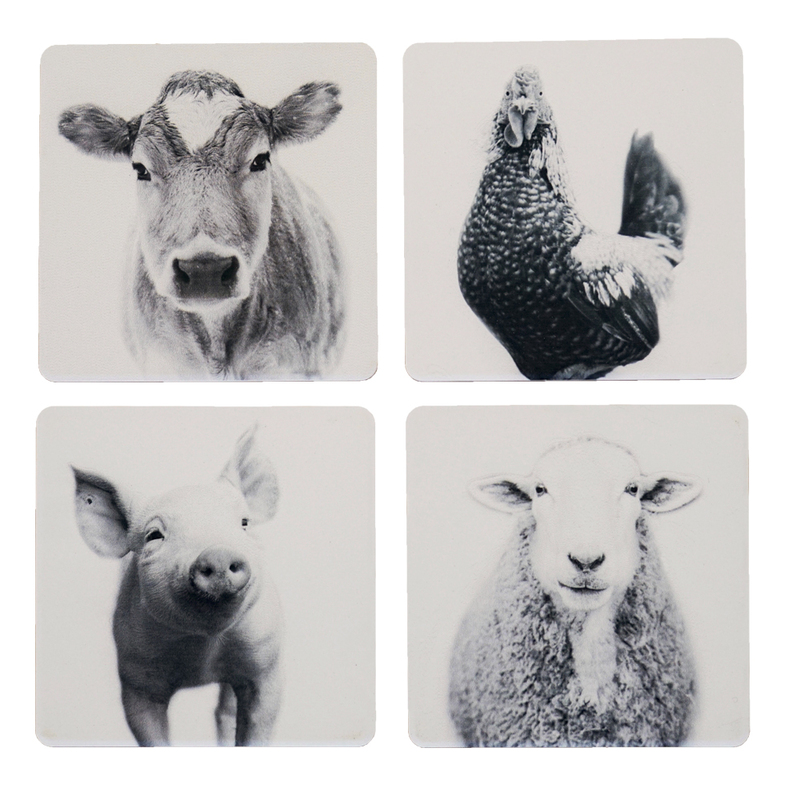 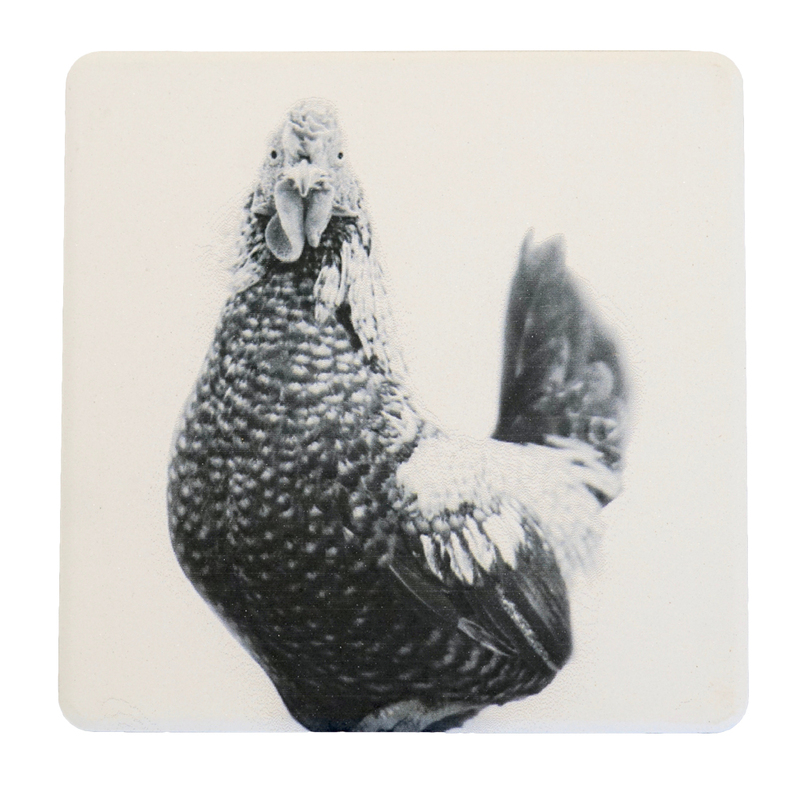 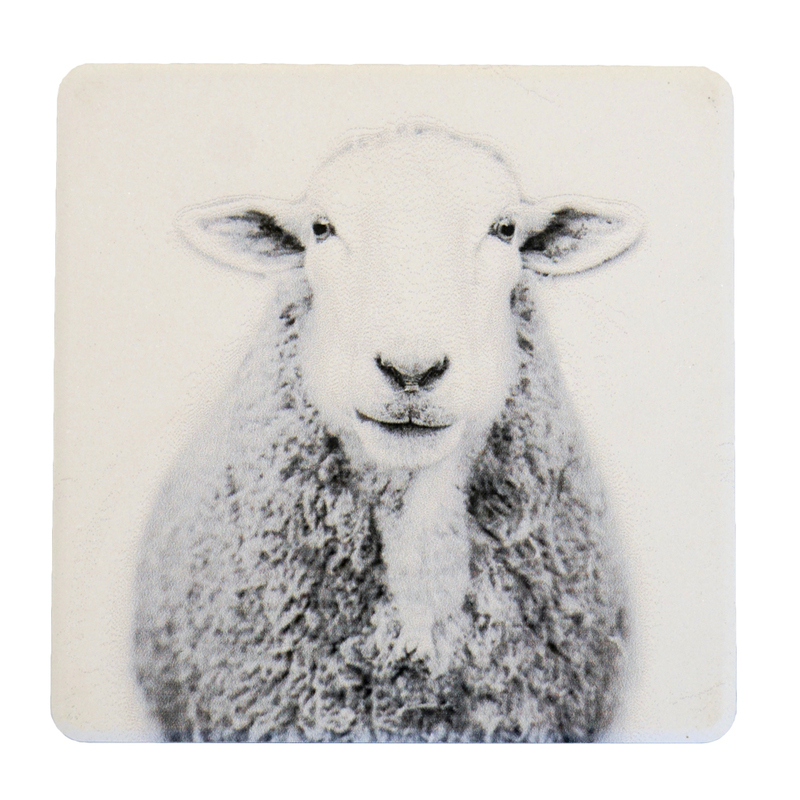 Show off your support to family and friends with this beautiful Farm Sanctuary Coaster set. 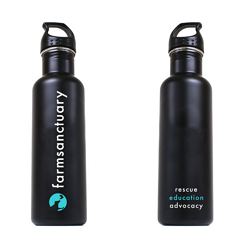 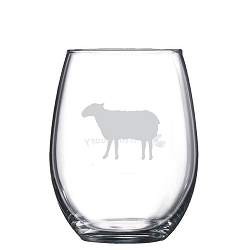 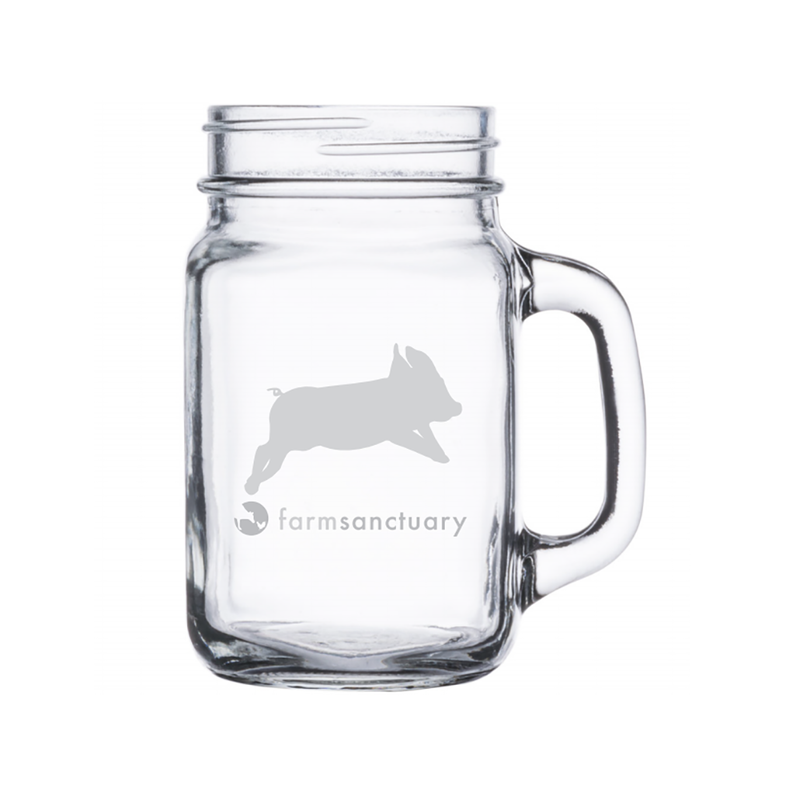 You can protect your table and furnishings while showing your love for Farm Sanctuary. 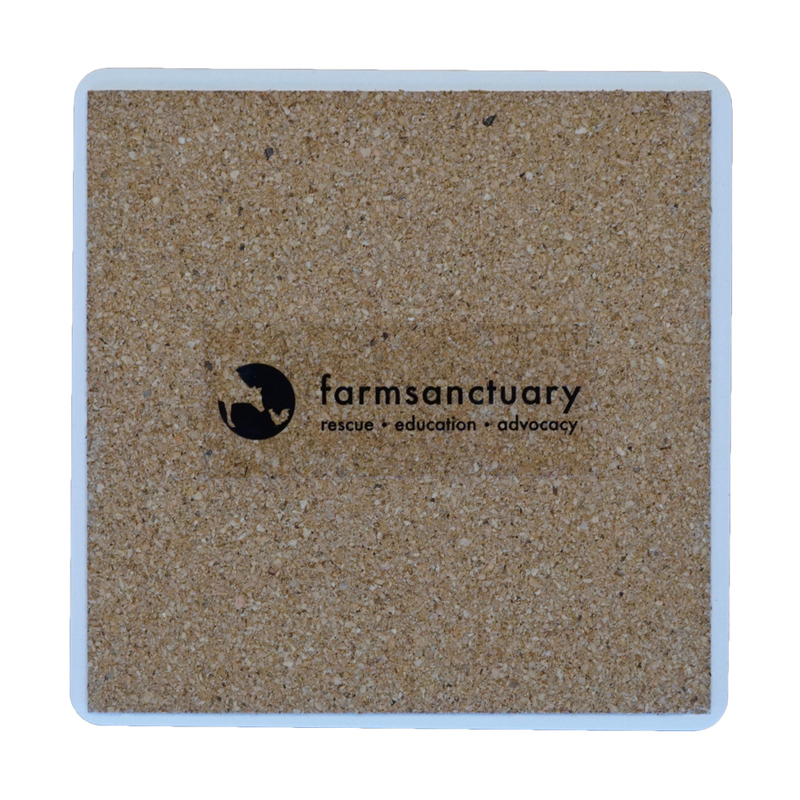 This very attractive and durable coaster set is made from stone. 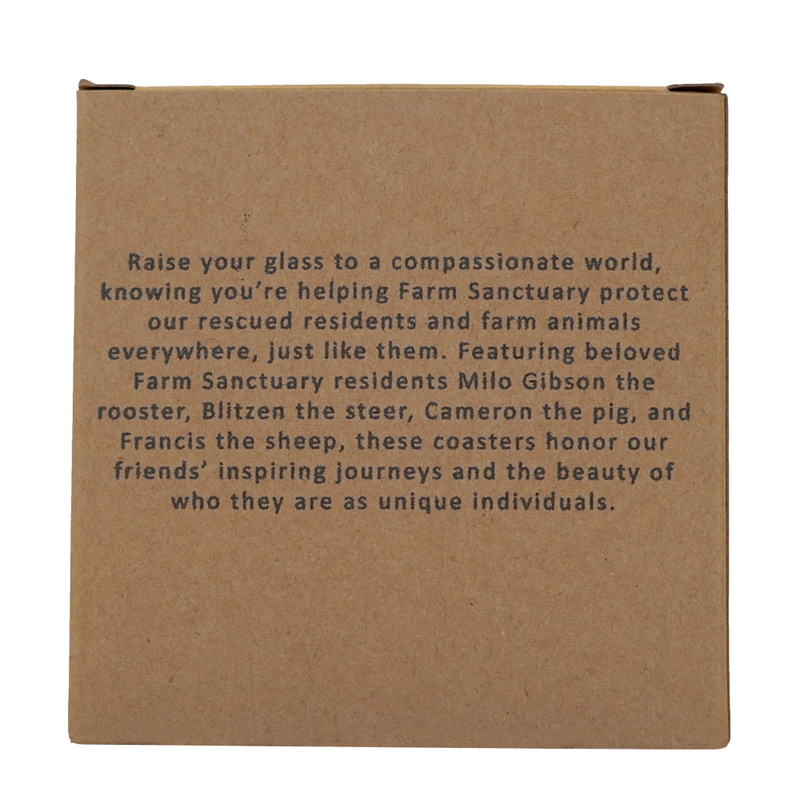 Featuring beloved Farm Sanctuary residents Milo Gibson the rooster, Blitzen the steer, Cameron the pig, and Francis the sheep, these coasters honor our friends’ inspiring journeys and the beauty of who they are as unique individuals. 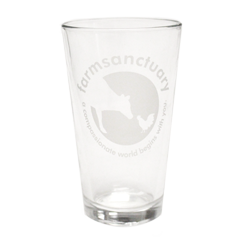 Raise your glass to a compassionate world, knowing you’re helping Farm Sanctuary protect our rescued residents and farm animals everywhere, just like them!